Date of this picture unknown. 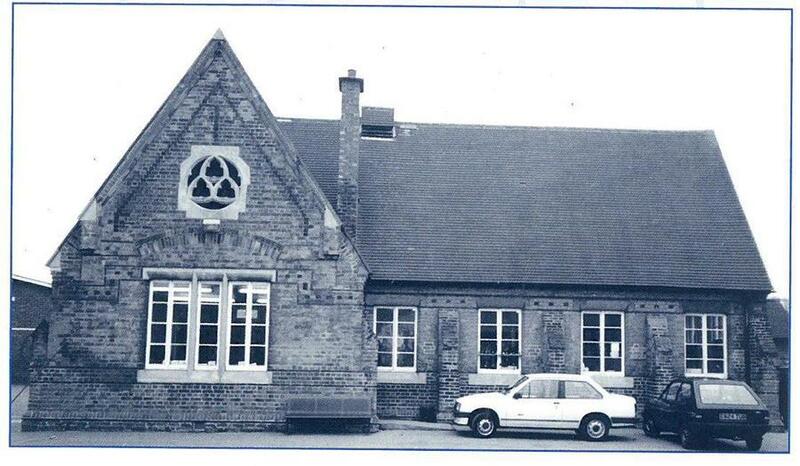 The original St. Peter's School opened on 4th January 1864 when 26 boys and 17 girls were admitted. 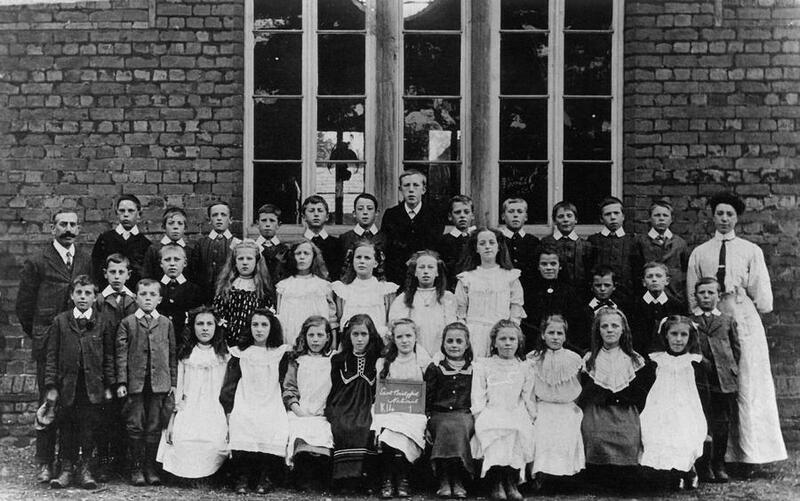 At first it operated as virtually two schools, the boys and girls being taught separately, until 1878 when classes became mixed. Mr Nelson Rhodes. A great church worker and sportsman, he identified himself very fully with the life of the village and played football and cricket. 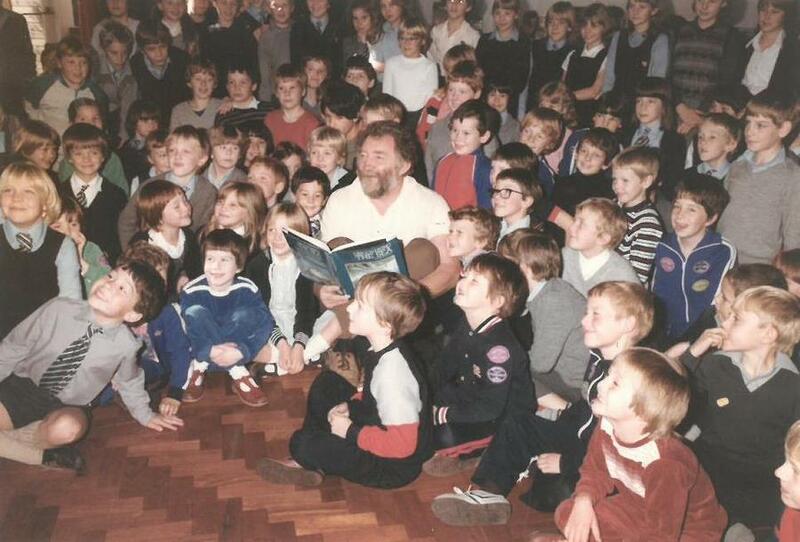 He stayed for 34 years. 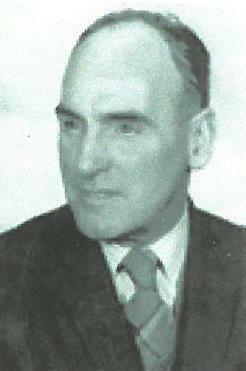 Mr Hugh Rees was appointed in 1957. His chief interests were Rural Studies, Art and Craftwork. 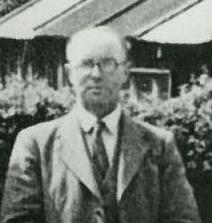 He was the Secretary of the Nottinghamshire Rural Studies Association and a Past President of the South Notts. 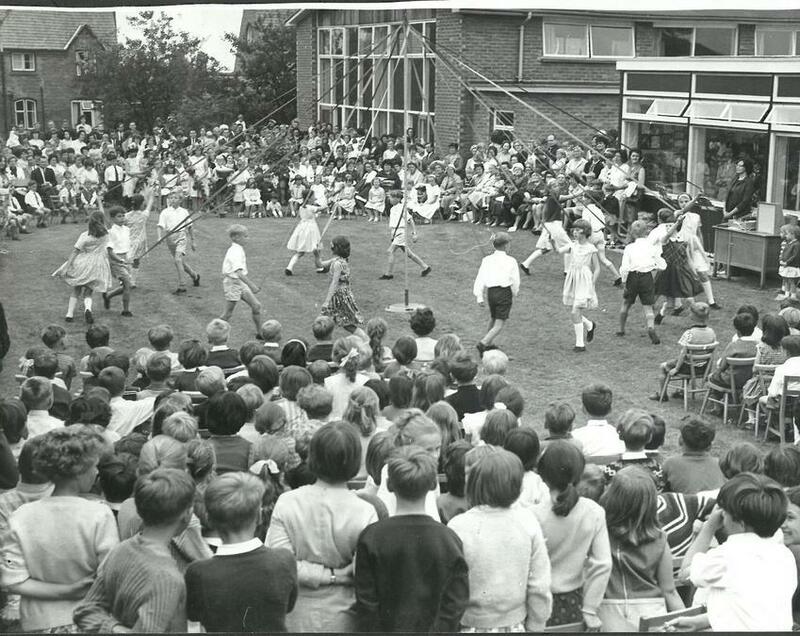 Head Teachers' Association. 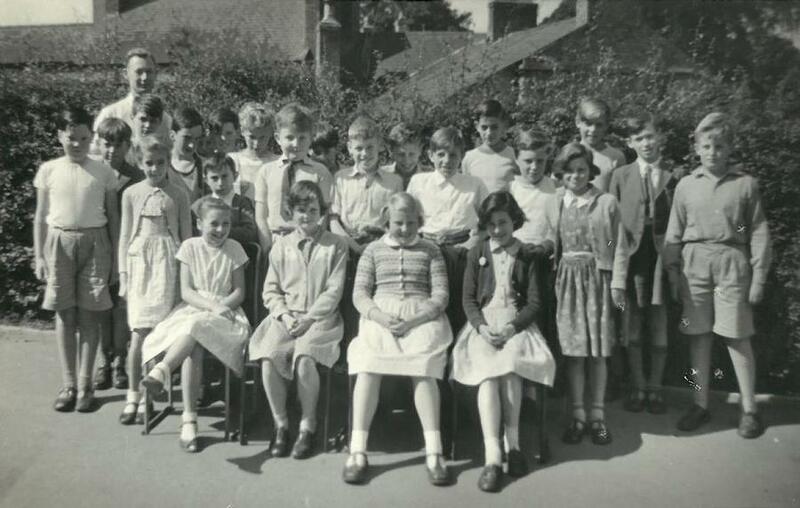 For many years, the school functioned as an all range school, which provided elementary education for East Bridgford and Newton Village children. 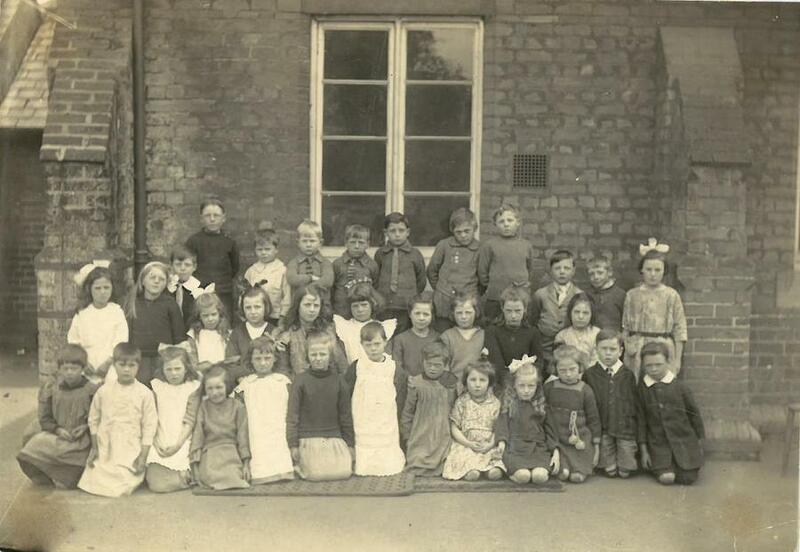 In 1924 the children of Kneeton were added. 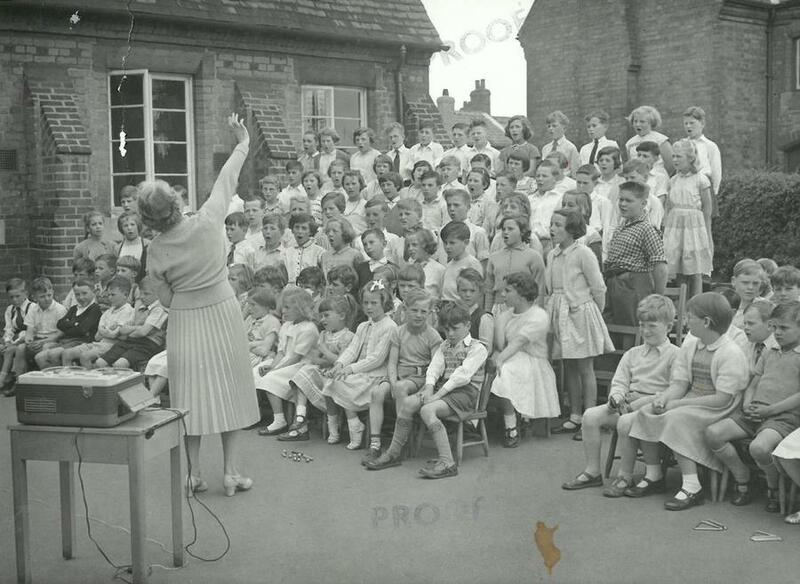 During the Second World War, evacuee children from the Sheffield area came to the village. 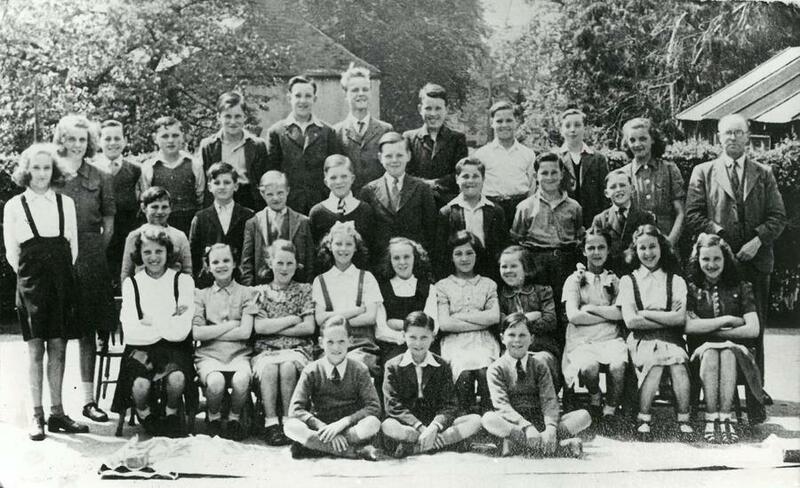 The first contingent of children from the Royal Air Force Camp at Newton arrived here in 1945. Immediately there were accommodation problems. 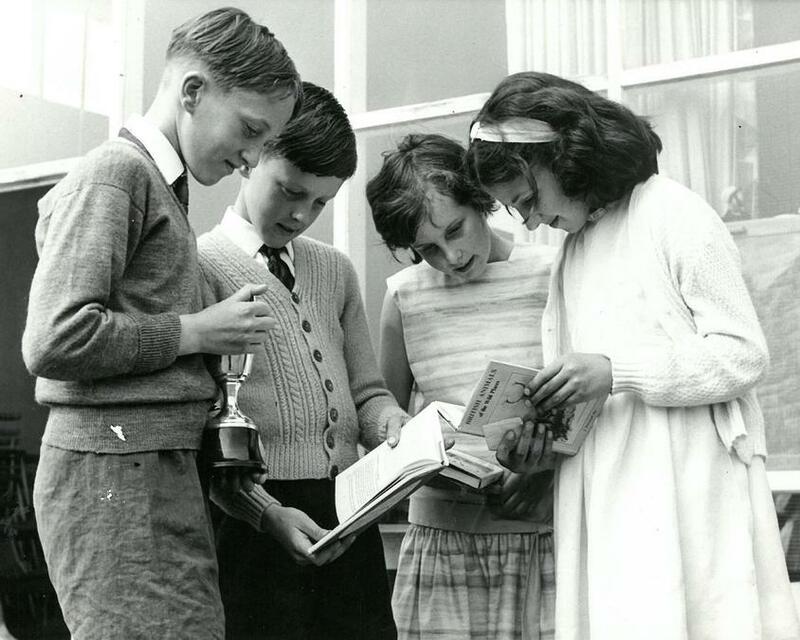 The school was reorganised into a Junior and Infant mixed School in 1950 when the Senior children were transferred to the Robert Thoroton Secondary School and later to the Toot Hill Secondary School, Bingham. 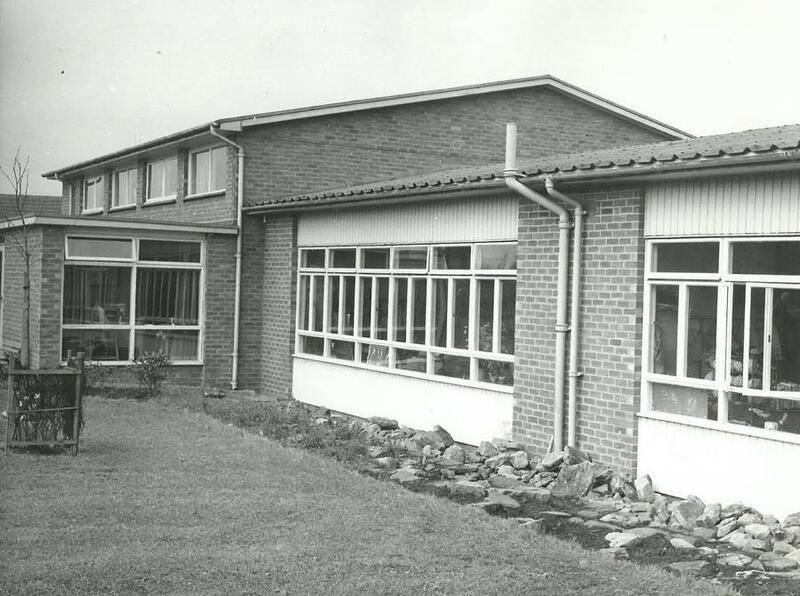 In 1955, the first of three Spooner built classrooms were added and a spacious Assembly Hall was completed and opened in 1960. 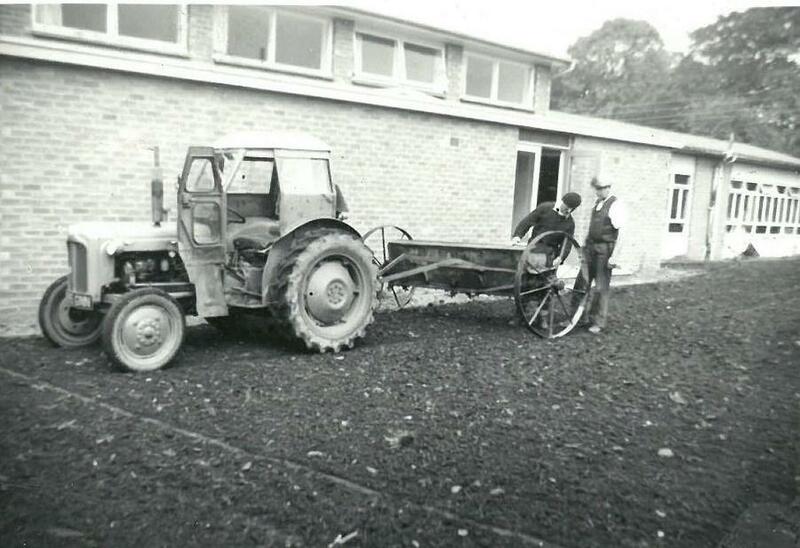 Grass seeds were sown by seed drill on a warm dry day, in just over a fortnight the grass was plainly visible. Workmen uprooted all the old twisted apple trees by means of a monkey winch. Mr A Marlow is seen here in charge of operations. 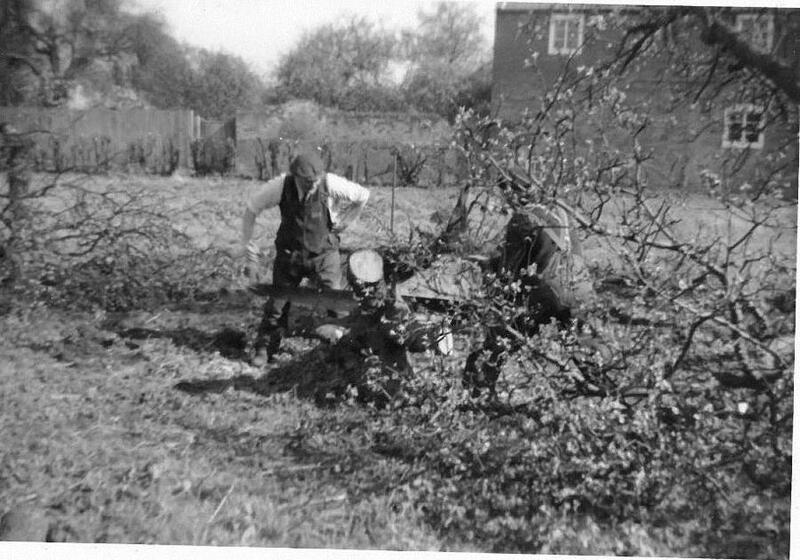 1961 during the Easter holidays the apple trees were sawn up. The solid trunks were kept for garden seats and the rest stacked and burnt. 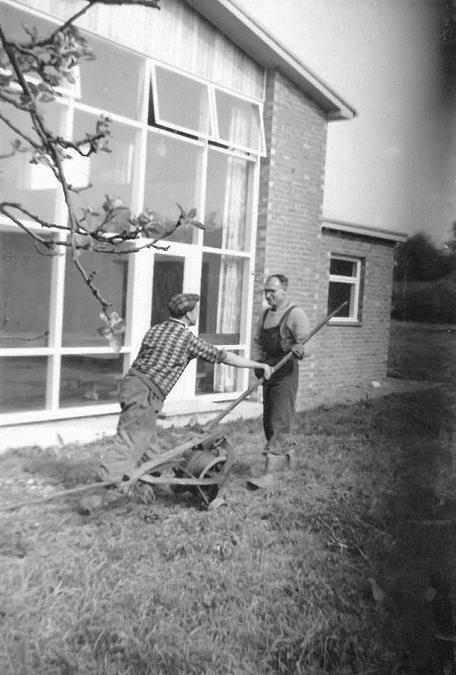 Possibly 1961 David Bennett is planting an almond tree. 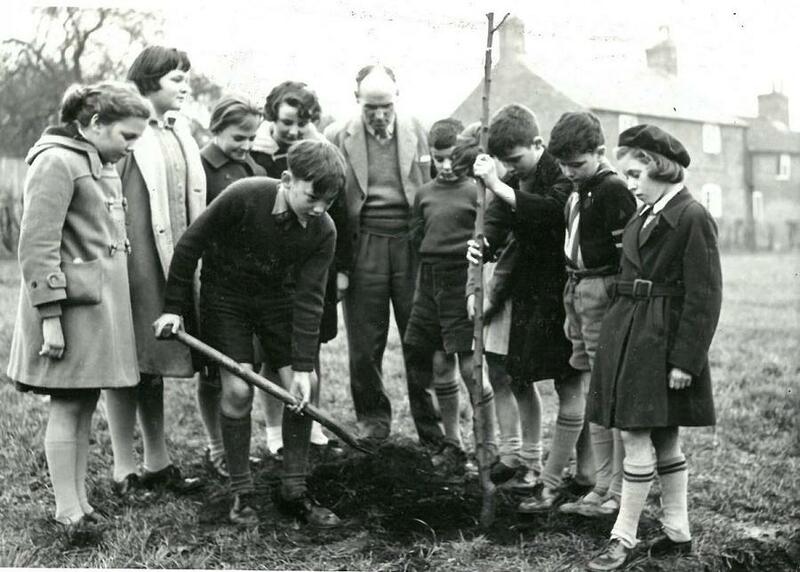 Groups of children were selected from each class to plant trees. 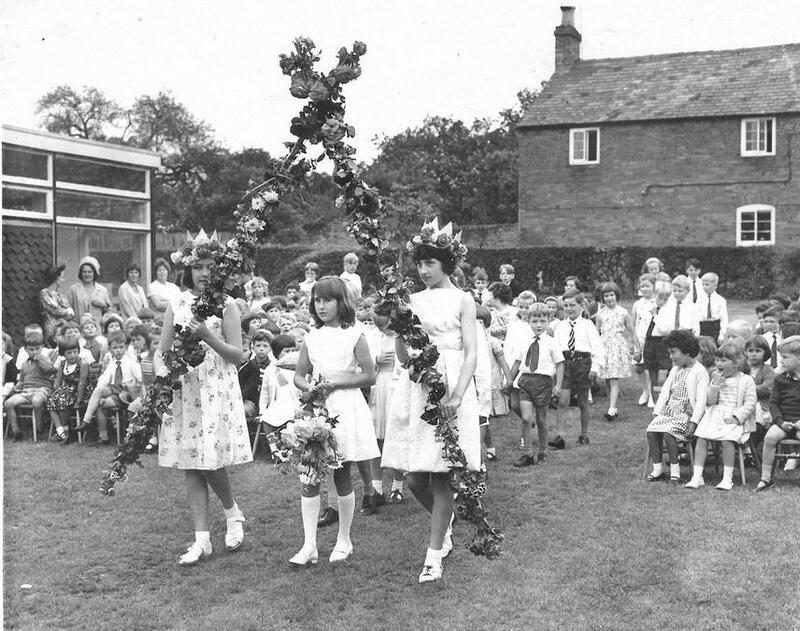 The following year, there began a three year scheme for the development of a School Garden by virtue of a Rural Studies grant from the Nottinghamshire Education Authority. 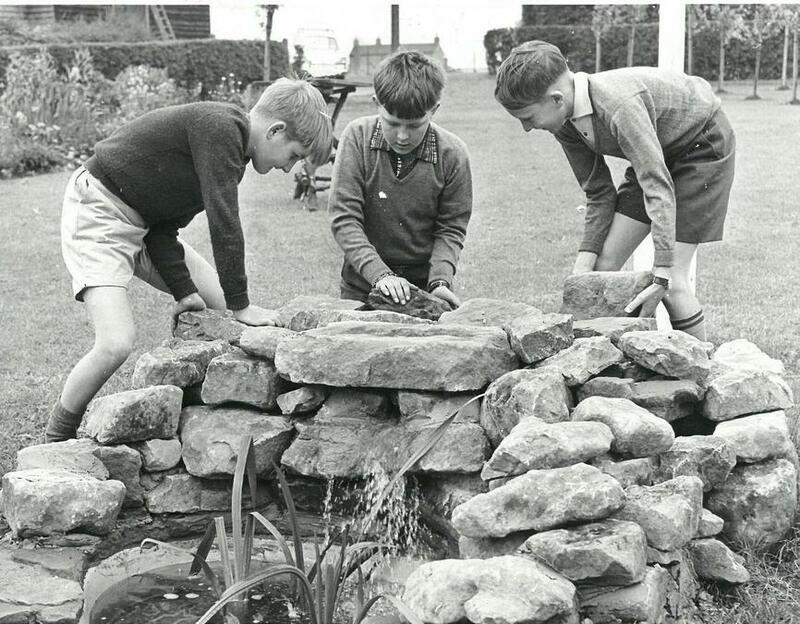 This garden was to be officially opened during the School's centenary celebrations. 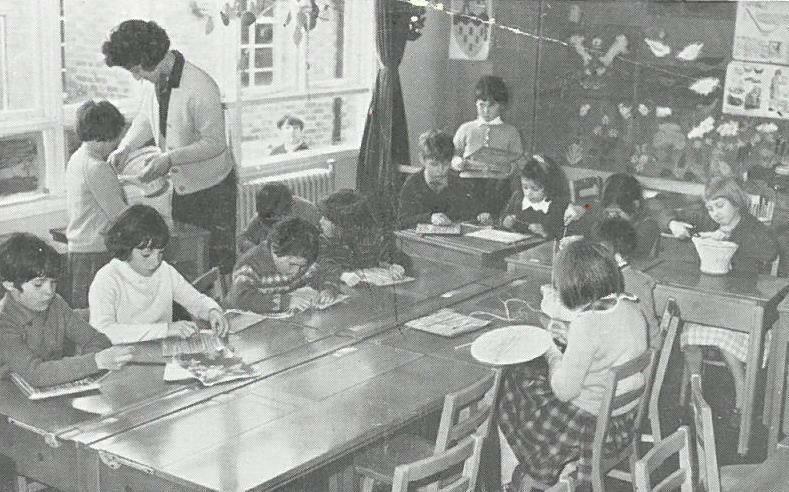 Art and Craftwork were popular subjects. Basketry, pottery, raffia work, netting, rope making and fabric printing. 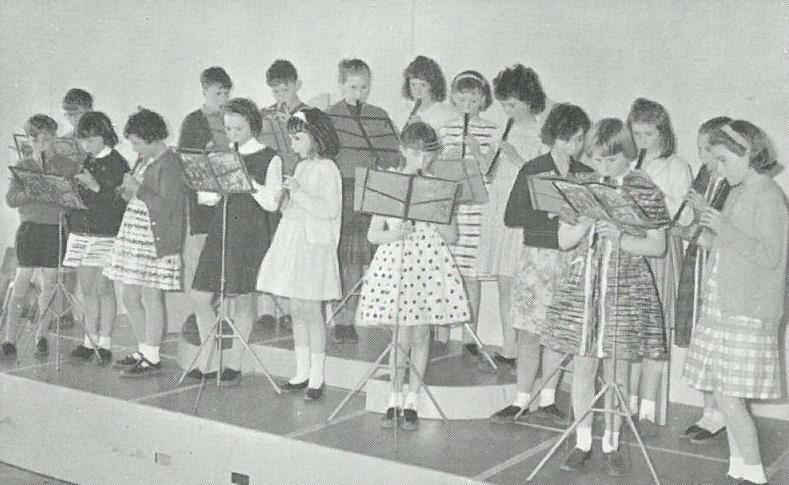 The Junior Recorder Group is under the direction of Mrs A. E. Squires, Deputy Head Teacher and Music Mistress. 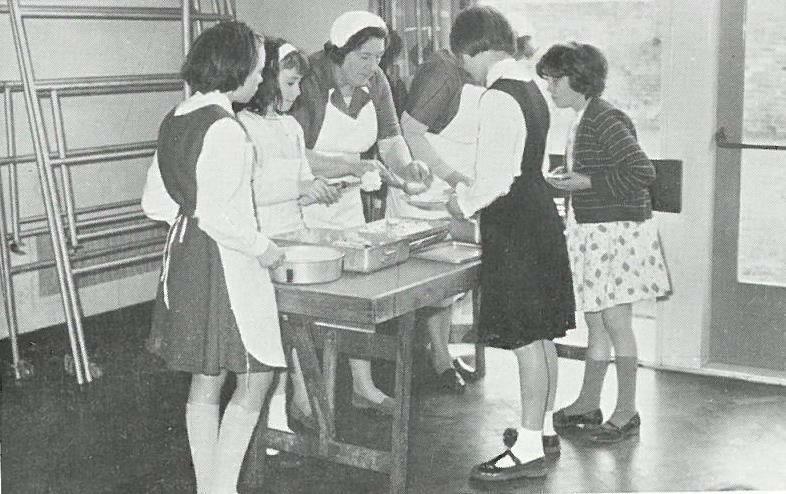 Over 180 dinners were served at the School each day. The dinners were supplied by the Bingham Central Kitchen. 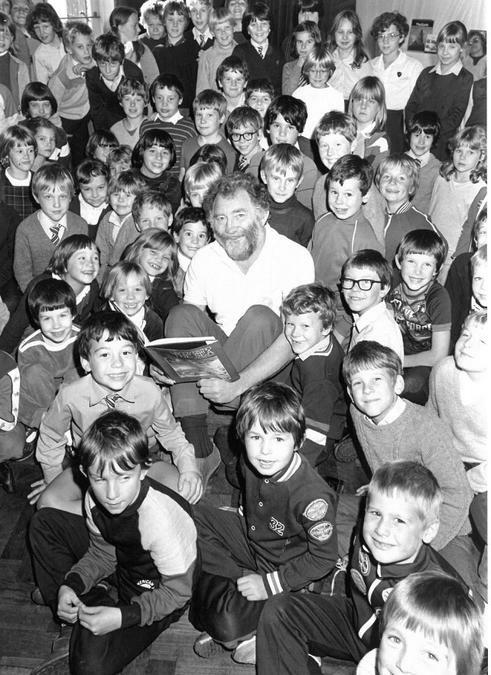 Over two hundred and seventy children attend St.Peter's School. 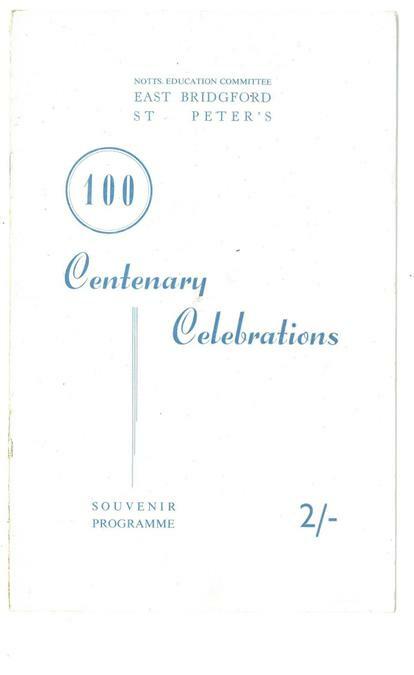 They come from East Bridgford, Kneeton, Newton Village and the Newton R.A.F Camp. With the development of East Bridgford village, the local Authority has provided added accommodation to meet the needs of the growing population. 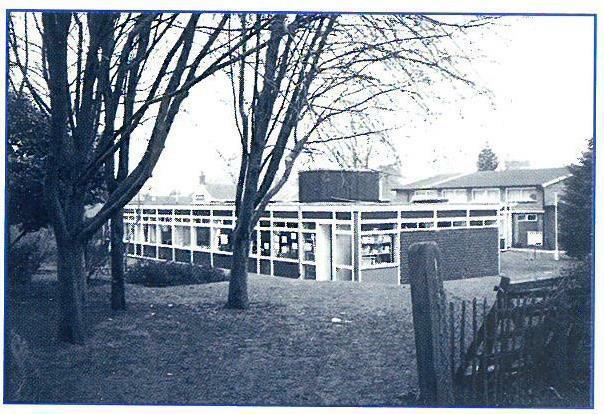 The new extensions, built by the Clasp system, were begun in April 1965 and completed in December of the same year. 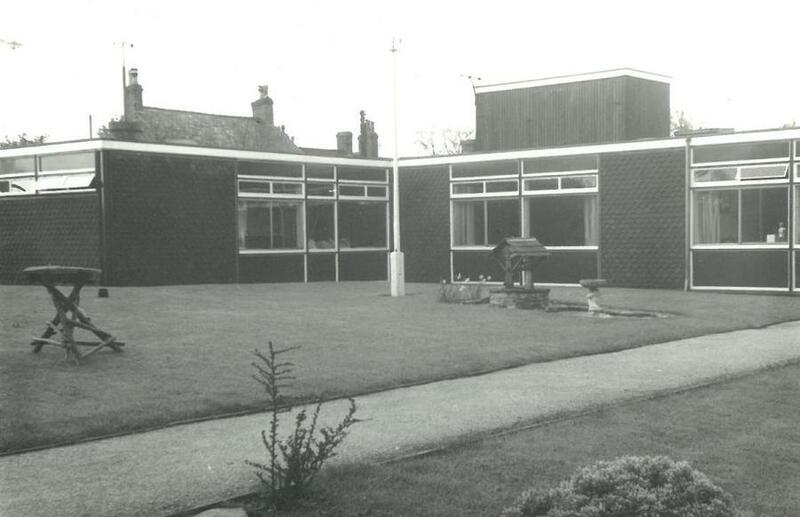 They consist of three classrooms, a craftroom, a staffroom, a headteacher's room, a stockroom, toilets, a library and a fully equipped kitchen. This kitchen, now fully staffed, serves over two hundred meals a day. 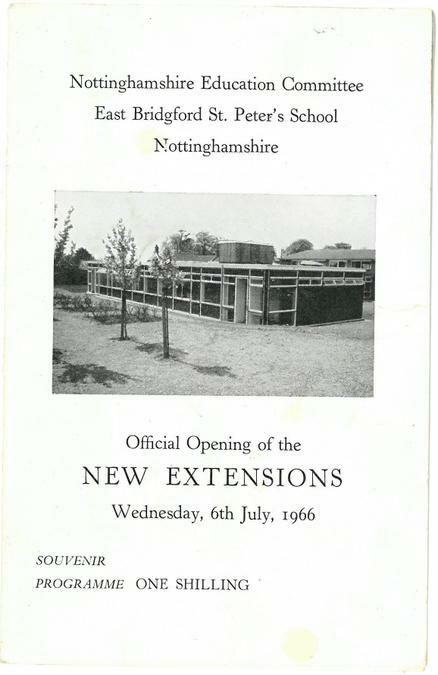 Our thanks are due to the Nottinghamshire Local Authority, the Director of Education, Mr W. G. Lawson B.A and his officers, the County Architect and his staff, the School Meals Advisers and the local Board of Management for their co-operation, advice and support in providing East Bridgford School with this much needed accommodation and new facilities. 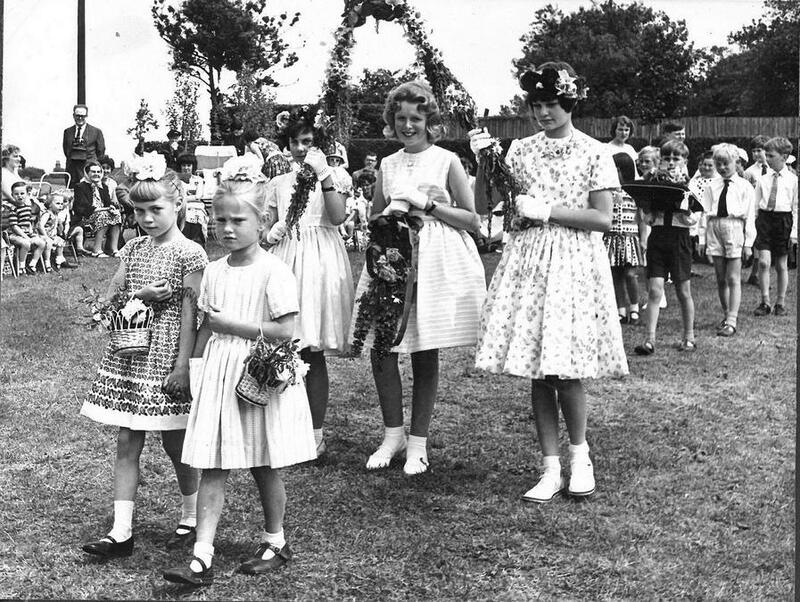 1966 May Pole dancing organised by Miss Teresa Scott an exchange teacher from Western Australia on the official opening of new school buildings. 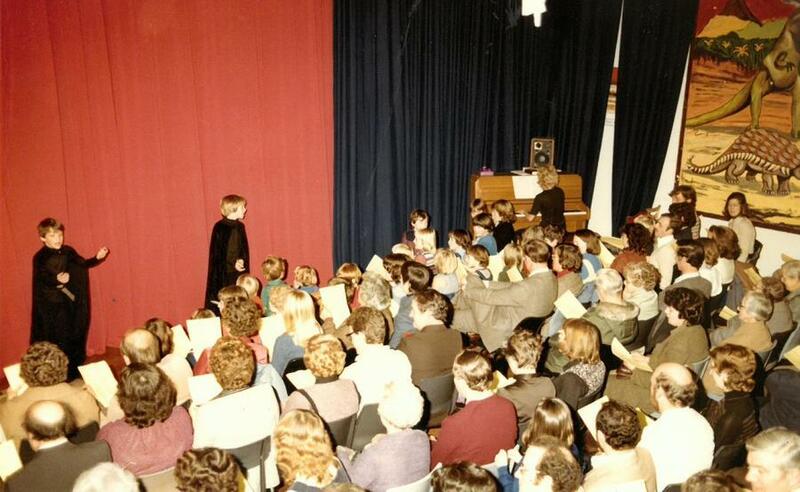 on the Official opening of the new school buildings. 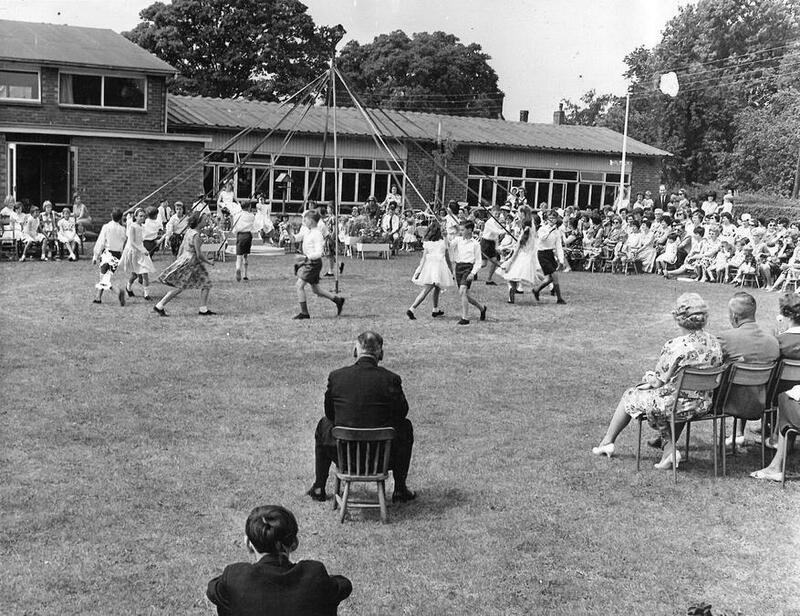 May Pole dancing on the school lawn on open day. 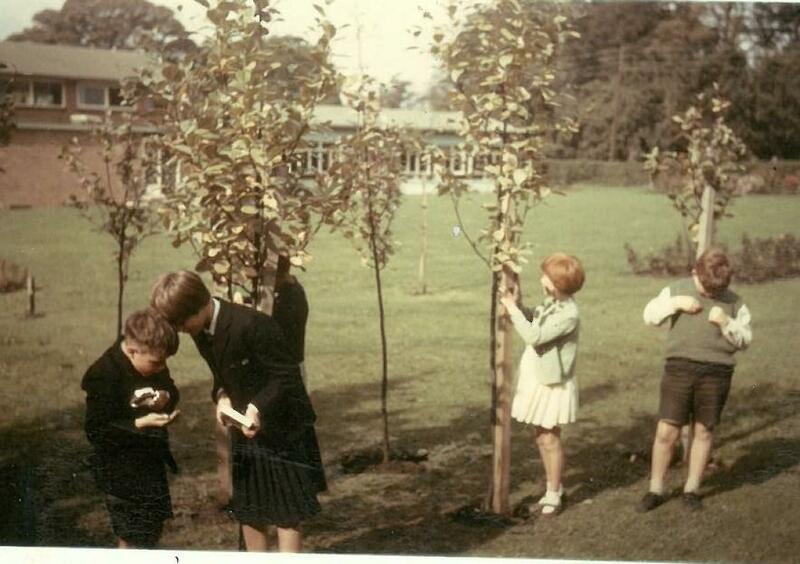 Children examining caterpillars found in Sorbus Tree Plantation. 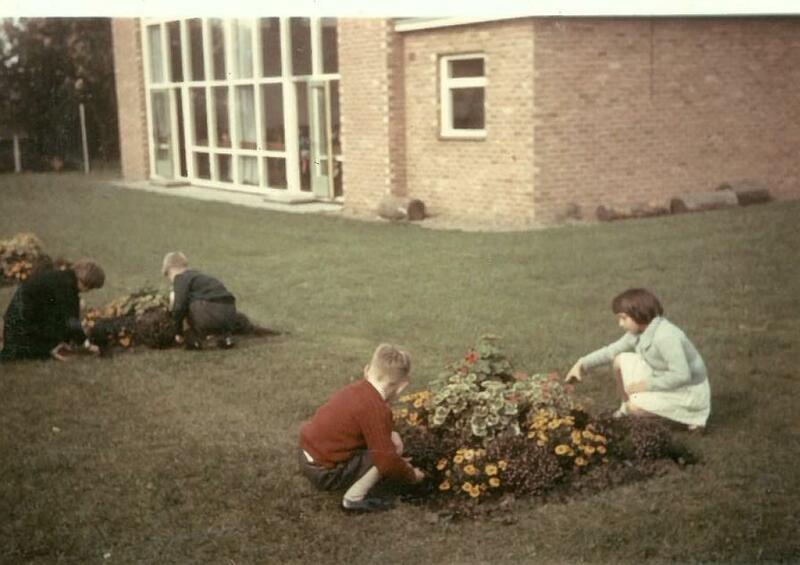 Small plots were specially designed so that two children could plant and weed in season. Each plot measured about 1 and half yards square. 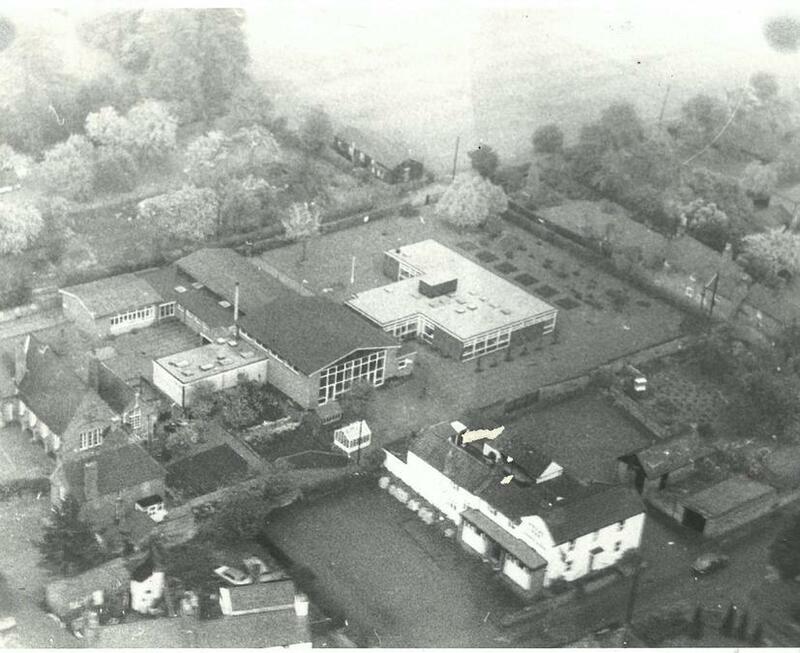 Possibly around 1967 when the office, staffroom and Year 4, 5 and 6 classrooms were built. 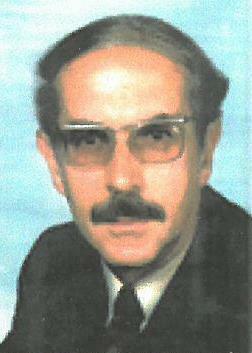 Mr Garth Powell took over as head in 1970. 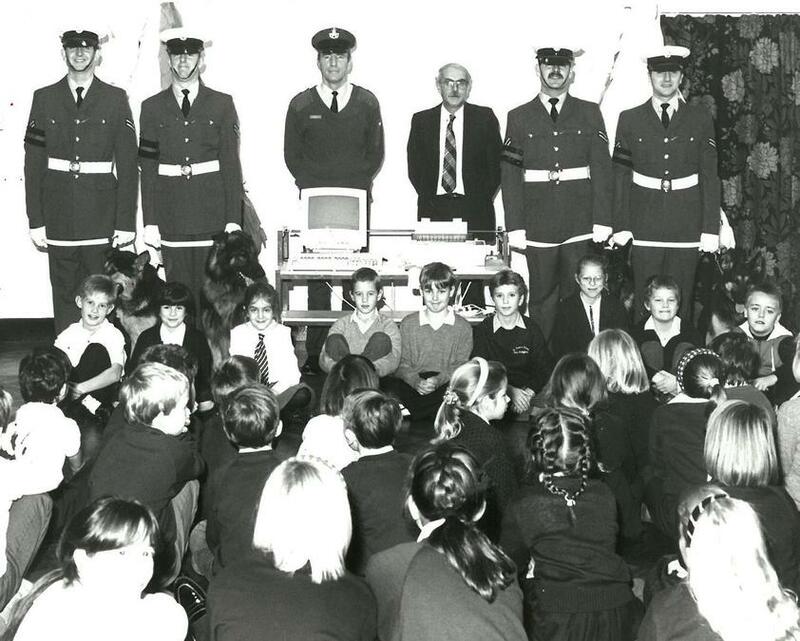 1991 members from RAF Newton came to visit. July 2017 - Building works begin on the new classroom extensions. Official opening of our new extension and refurbishment. Robert Jenrick MP cuts the ribbon. 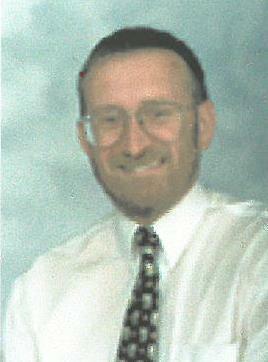 Peter Golightly, Chair of Governors. 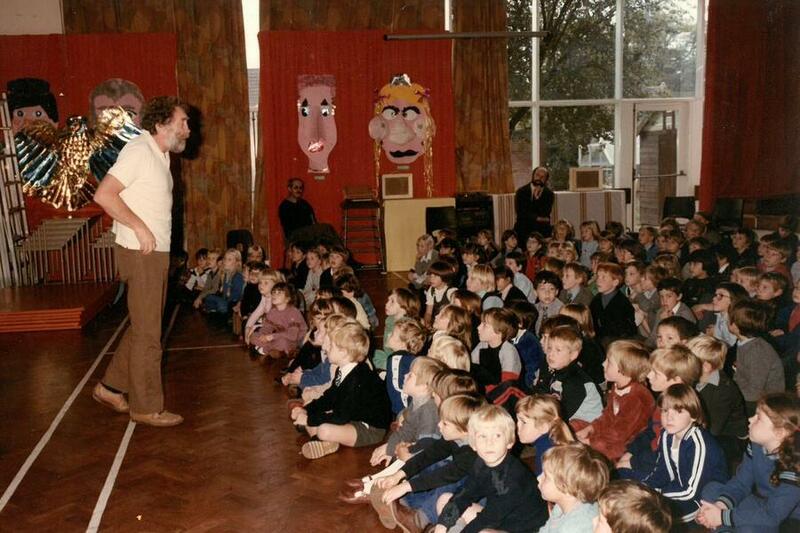 Richard Tomlinson, Head Teacher. More to be added, please check back.